Traces $\Phi$ on von Neumann algebras with values in complex order complete vector lattices are considered. The full description of these traces is given for the case when $\Phi$ is the Maharam trace. 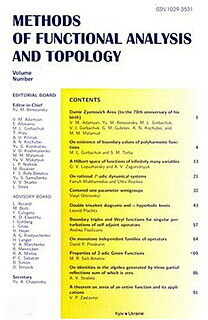 The version of Radon-Nikodym-type theorem for Maharam traces is established.